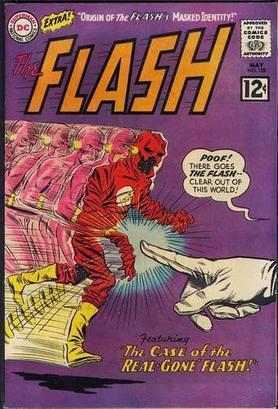 The "Imaginary Story"� has been an important element of the Silver Age and I recently discovered they've even done some collections of them in at least two volumes.� Perusing volume I reveals that these stories weren't strictly limited to the Silver Age as they go back far enough to reveal at least one Golden Age story in the roster with "The Atomic War! 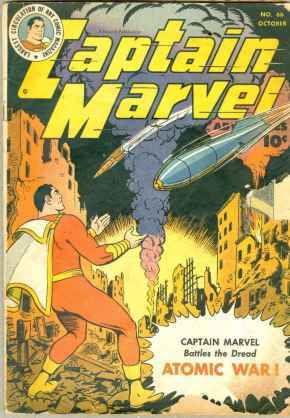 "� in Captain Marvel Adventures #66 dated October, 1946.�Of course technically, since the Big Red Cheese was still being produced by Fawcett Comics at the time, it's not really the first DC Imaginary Story.� Others in the tome in chronological order include "The Second Life of Batman! "� from Batman #127 in 1959; "Mr. and Mrs. Clark (Superman) Kent!" 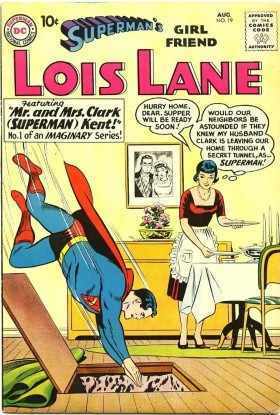 from Superman's Girlfriend, Lois Lane #19 in 1960; "The Death of Superman! 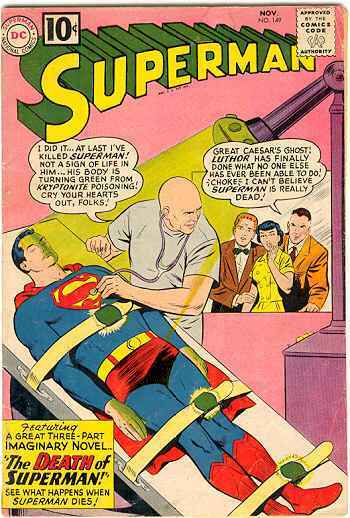 "� in Superman #149 [Sage #177], 1961; "Jimmy Olsen Marries Supergirl!" 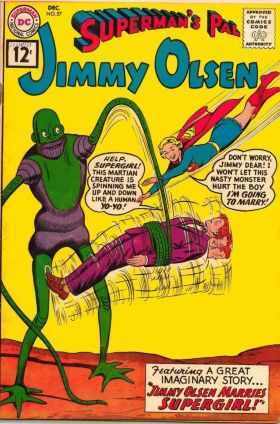 in Superman's Pal, Jimmy Olsen #57 from 1961; "The Origin of Flash's Masked Identity! "� in Flash #128, 1962; "The Amazing Story of Superman Red and Superman Blue! 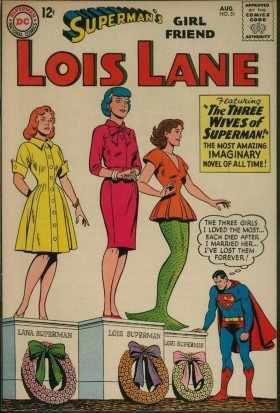 "� from Superman #162, 1963; "The Three Wives of Superman! 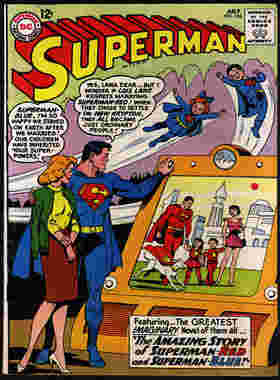 ",� in Lois Lane #51, 1964; "The Fantastic Story of Superman's Sons! ",� from Superman #166, 1964 and "Superman and Batman-- Brothers!" 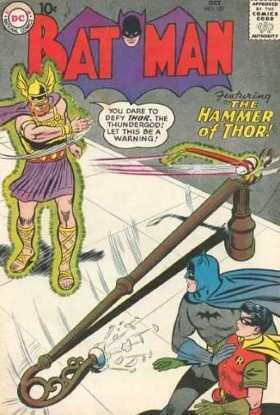 printed in World's Finest #172 [Sage #45] in 1967. 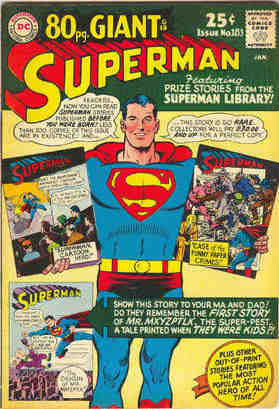 As you can see, the center of gravity is definitely tilted in the direction of the Superman Family of titles, so it seems only right that the self-proclaimed "Very First Imaginary Story!" is another Superman tale.� It's obvious that the captions were added in the reprint of the story found in the 80-page Giant Superman #183 from January of 1966.� It originally saw print in Superman #19, the November/December issue of 1942 under the title:�"Superman, Matinee Idol!" 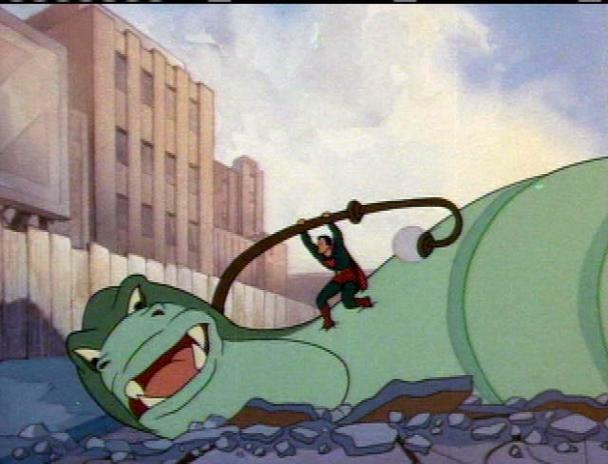 (It was re-titled "Superman, Cartoon Hero!" for the '66 reprint.) 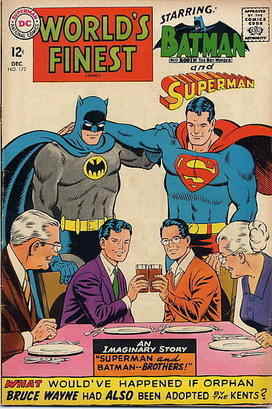 It was written by the Man of Steel's co-creator, Jerry Siegel and while his other co-creator, Joe Shuster is credited with layouts, the art was done by Ed Dobrotka. As I mentioned, one caption declares it their very first imaginary story while the other sets the stage just a bit: "In 1942, a series of animated cartoons starring the Man of Steel was being shown in theaters throughout the U.S.! "� "So, with tongue firmly planted in cheek, the D.C. team turned out this story of what might have happened if Clark Kent and Lois Lane had gone to see Superman, Cartoon Hero!" After the Paramount symbol is shown, the next thing on the screen is a depiction of the logos for both Action Comics and Superman Magazines, copyright 1942 and "...based on the famous comic strip." Lois states that she doesn't think she's ever seen the magazines and Clark muses to himself that he can't figure out how they know so much about him. Time for action now as the panels showcase the scenes from the cartoon, with an adventure on "Prison Island"� which of course houses a mad scientist Superman had tangled with before.� Naturally the antagonist escapes and then the film segues to a familiar looking skyscraper.� Lois observes that it looks a lot like the Daily Planet building and Clark quickly distracts her with the need to go get a drink of water.� Lois accompanies him and while they're in the lobby who should appear on screen but Clark and Lois, but the "real"� Clark manages to stall long enough that Lois misses that scene. 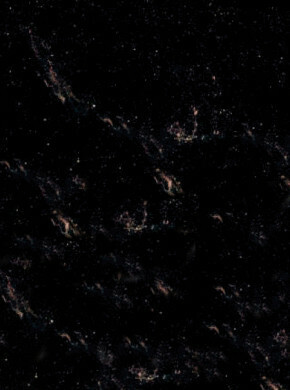 That is Clark's cue once again to provide a distraction and he "accidentally"� knocks Lois' pocketbook to the floor of the theater and she searches vainly for a few minutes in the dark for it.� On the screen, a crusty editor is speaking to a couple of familiar reporters and dispatches Clark to cover the breaking story as "it's too dangerous for Lois! "� She, however, locks Clark in an office where he takes advantage of the privacy to change into his Superman togs.� Fortunately, Lois has missed all this during her search, preserving Clark's secret. 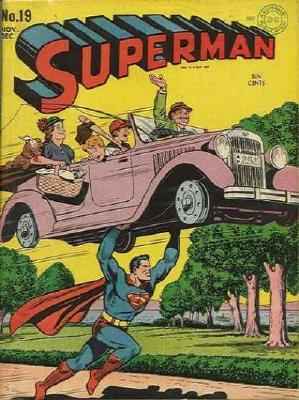 The robot is now creating mayhem at the docks, knocking ships asunder when Lois spots herself photographing the carnage.� Clark suggests the movie writers must be Planet subscribers.� The on-screen Superman arrives to save Lois from the robot and then with a series of standard, early 40's banter, takes the automaton apart, piece by piece.� He then locates the control center via X-ray vision and enters the mad scientist's lair. Lois, of course, is right behind our hero and the madman fires a bullet at her, but the Man of Tomorrow deflects it at the last moment and hurls it back into the pistol.� The final scenes have Superman delivering the criminal back to prison and Lois back to safety. 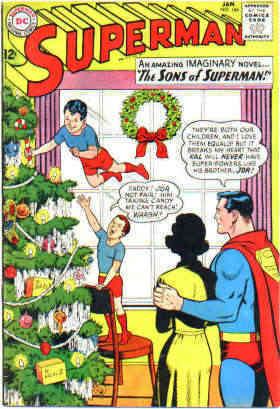 It wasn't the most sophisticated story, but we must remember that when it hit the newsstands, Superman was barely 4 years old and the conceits of Clark Kent being the antithesis of his alter ego and the inquisitive and sometimes exasperating lady reporter was both a love interest and a budding thorn in the side, at least where his precious secret identity was concerned.�I suspect this was not only a fun sort of departure for the creative team, but a tie-in/advertisement for the enormously popular character in other mediums.� Good clean fun from the earliest days of the original superhero that likely helped, at least down the line a bit, the growth in popularity of the Imaginary Story, which eventually gave way to Elseworlds. Thanks, as always, for spending time with us, readers and my standard invitation is still in full effect. If you have comments, questions or ideas for future features, the webmaster and I will be glad to entertain your inputs at: professor_the@hotmail.com.